It’s been a while since our last pop quiz. I was just lulling you into a false sense of security! Get out those #2 pencils and scan-trons! I’m going to kick it up a notch with this one. 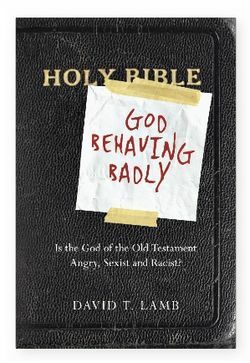 The winner will receive a free copy of “God Behaving Badly: Is the God of the Old Testament Angry, Sexist, and Racist?” by David Lamb. Share this post on whatever social media you like the best. 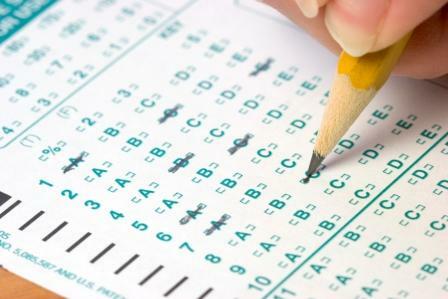 This is a closed book test. No cheating. You have to do this all from memory or guessing! I trust you. 1) How many times does the phrase “I am the LORD,” or, “I am the LORD your God,” appear in Leviticus 19? 2) You have sacrificed an offering of well being to the LORD. Unfortunately, you are too full to eat it at the moment. On what day will it become an abomination and inedible? 3) Which of the 10 Commandments are NOT referenced in Leviticus 19. Hint: There may be more than one answer. 4) An Israelite gets lost and stumbles into Middle-Earth. If he wishes to find his way back, who is he NOT allowed to ask for directions? 5) Which of the following celebrities would Israelites be required to rise before? 6) How many times does the phrase “do not,” or, “You shall not,” appear in Leviticus 19? 7) The year is 1400 BC. You love pie. Who doesn’t? So you plant an apple tree in your yard in hopes that one day you can bake a delicious apple pie. What year will it be when you can finally enjoy what you have been longing for? Answer the most questions correctly in the comments section by 11:59pm 10/7/11. I will announce the winner on Sunday. Good Luck! Oh, it’s totally good. Worth your time. Trust me. If you say so, I’ll trust ya.